During the cold winter months, heating a home can be a financial strain. In order to ensure Kansans keep warm this winter, the Kansas Department for Children and Families (DCF) will begin accepting applications for its Low Income Energy Assistance Program (LIEAP) on Tuesday, Jan. 17. 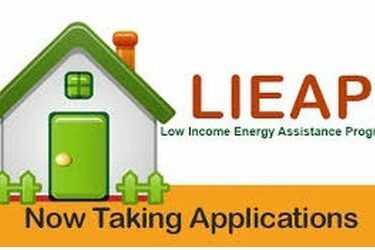 LIEAP provides an annual benefit to help qualifying households pay winter heating bills. Persons with disabilities, older adults and families with children are the primary groups assisted. In 2016, nearly 44,000 households received an average benefit of a little under $500. To qualify, applicants must be responsible for direct payment of their heating bills. Income eligibility requirements are set at 130 percent of the federal poverty level. The level of benefit varies according to household income, number of people living in the home, type of residence, type of heating fuel, and utility rates. Applicants must demonstrate that they have made payments on their heating bill two out of the last three months. Those payments must be equal to or exceed $80 or the total balance due on their energy bills, whichever is less. Applications for the program have been mailed to households that received energy assistance last year. LIEAP applications are also available at local DCF offices and through partnering agencies. They can be requested by calling 1-800-432-0043. For more information or to apply online, visit www.lieap.dcf.ks.gov. Applications will be accepted from Jan. 17 to March 31.